The water is warming up and the fish are getting more active. We found a good walleye bite today 16-18 fow. 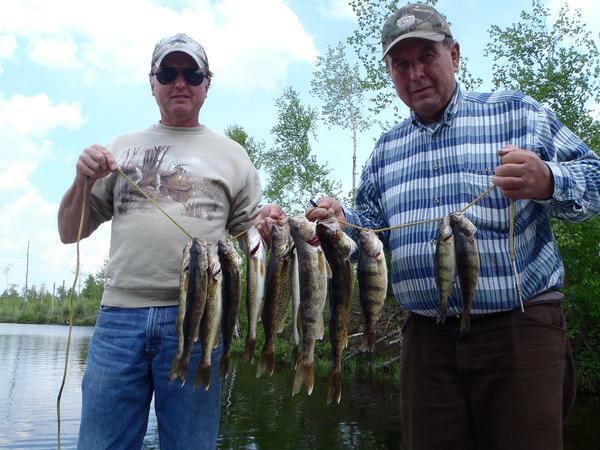 We caught fish on both slip bobber poles and casting 1/8 oz. jigs. We tried a few crawlers today and leeches and crawlers yesterday but caught most of the fish on fathead minnows. They do require extra care at this time of the year, I freeze gallon milk containers to put in the bait well and periodically run the recirculating pump. Yesterday in the morning we found a good walleye bite in some shallower water 7-8' and a 12' area, while in the shallower water we caught some nice smallmouth the biggest 19-1/4". 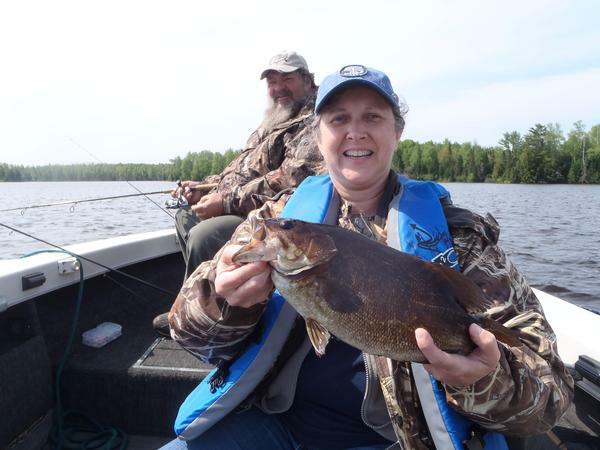 The smallmouth bite is on right now, shallow rocks and sand along shorelines is one type structure to find them. We did find another creature active yesterday, bobber down, Laurie set the hook into what we thought was a really big fish. 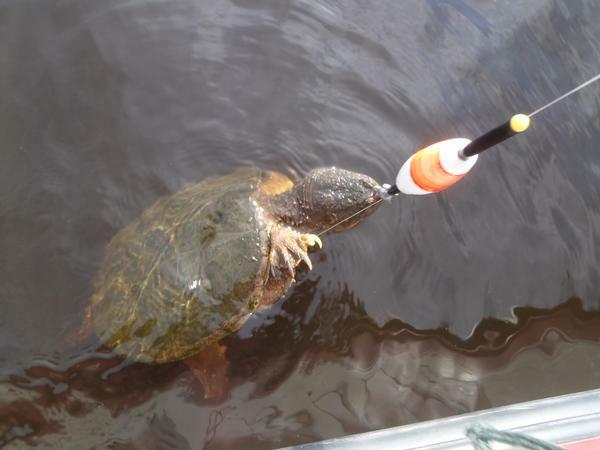 I had the net out and almost netted the snapping turtle in the picture before I saw what it was. It was actually a big turtle the picture is a little distorted with the close up of the bobber. They're hitting on crawlers if anyone is interested. I had a last minute cancellation for tomorrow if anyone is interested , call or e-mail.